When we made the decision that homeschooling would be the way we educated our children, we couldn’t tell you exactly what the results would be. Yes, we have goals for what we want our kids to learn by homeschooling. But just like everything else, it was all in theory. We believed homeschooling would provide many benefits and our kids would be very well prepared in life. But we were new to it, and actually knew very little. Maybe they would learn a lot, or maybe they wouldn’t learn anything. We made a commitment that we’d do everything we could to make sure they learned a lot. Well, after 24 weeks of meeting and studying with our Classical Conversations Community of homeschooling families this year, we see our kids have learned a lot. Three students in our homeschooling community received the “Memory Master” honor by mastering every single fact they learned during their 24-week Foundations program. One of them was our daughter. Becoming a Memory Master is no easy feat. To do so, a student must commit to long-term memory every piece of information they studied for the entire year. Think of year-end finals, with no multiple choice, and not just some of what was studied during the year, but every single fact that was studied for the year. The intent is to truly “master” the material as it will be the “foundation” to everything they build in their education going forward. The amount of information an memory master recites is long. It must be done multiple times. First to the student’s parents (us), then to another Foundations program parent, then to a Foundations program tutor, and finally a Foundations program director. Below is what our daughter was asked to recite by memory. We are very proud of her! We have now been an “all-in” homeschooling family, where all of our kids are in homeschool, almost two years. And as the cloud (of confusion) clears we are beginning to see a bigger picture. We are able to better understand and see how great this homeschooling journey is! Knowing the facts to become a Memory Master is great. However, knowing the facts alone will not be a huge benefit to our kids unless they want to win Jeopardy. As our kids continue to grow they will begin to understand how these facts relate to one another and various aspects of life. Finally, they will be able to practically apply what they have learned to their lives. One of our goals, and a big reason behind our choice in homeschooling, is to be lifelong learners. We don’t want our kids thinking once they’ve passed a test, completed a program, or finished school that learning stops. No matter what age we are, all of us could be in one of the three stages of learning. When our kids see us learning as old people (in our 30’s! ), they’ll be encouraged to be lifelong learners as well. And they will have the tools to do so when they understand and practice the three stages of learning: knowledge, understanding, and wisdom. After four years on our homeschooling journey, only two of which both our school-aged children have been homeschooled, we are beginning to see great results. 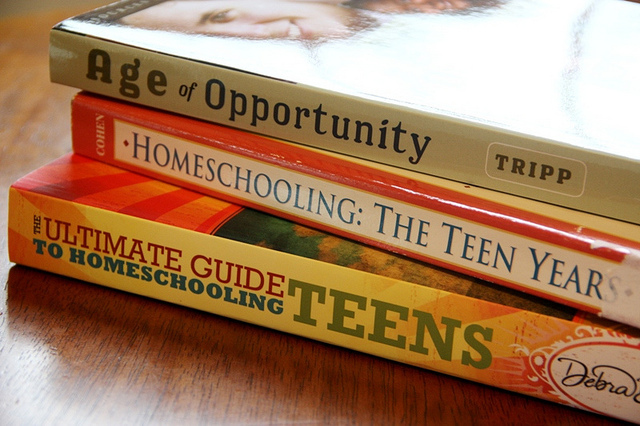 If you have made the choice of homeschooling I encourage you to keep going. It will be tough, and there will be doubters and haters. But the results you get with be more than worth it. Question: Do you homeschool? If so, please share your experience in the comment section below. If not, have you considered homeschooling? You're not interested in your spouse's hobbies...what do you do? My New Site and a FREE Gift for You! Why the gay marriage debate is a MAJOR problem! I lost my job, and my family was homeless, yet I learned some valuable lessons from it all, which I now write and speak about. My words are in The Huffington Post, All Pro Dad, The Good Men Project, and Disney's Babble. My new book, The 7 Rings of Marriage, releases February 1, 2016, and comes highly recommended by many, including #1 New York Times bestselling author Dr. Gary Chapman. My goal is to help you better lead and love your family, so you can have a lasting and fulfilling marriage, and meaningful influence on your kids. Click To Learn About My Bestselling Book! What Do You Know About the 7 Rings of Marriage? ©2019 Jackie Bledsoe | Bestselling Author & Speaker. Powered by the Get Noticed! Theme.